For more than 60 Years Flowflex have been designing and manufacturing Compression fittings to answer the needs of the market. During this time Flowflex has built up the knowledge and expertise to develop superior engineering solutions for customers. 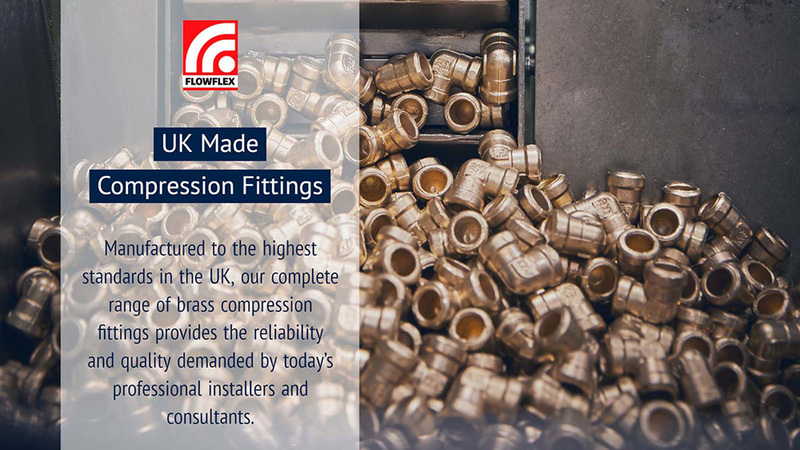 Over the last 12 months Flowflex have manufactured over 30 million fittings and machined more than 2 million KG of brass. Today, Flowflex operates from a single six-acre site in Buxton, Derbyshire from which they supply some of the most highly regarded non-ferrous plumbing fittings available on the market. Further information on our Compression Range can be found on Flowflex’s newly launched website, where all products are listed & a PDF of the range can be downloaded: https://www.flowflex.com/compression.